How much should I help? A boy is crying in front of me because he can’t change his diaper by himself. And it is not only him. It happens many times, almost every day. 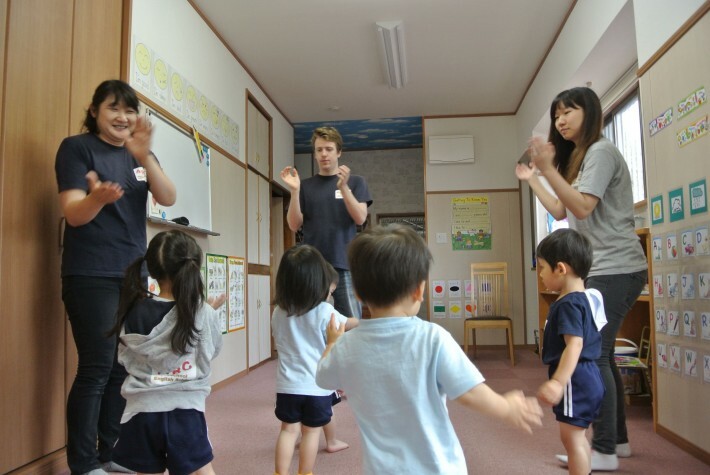 At ABC English School, children who are nearly 2 years old have to change their diapers by themselves. (Of course this only applies to diapers soiled with urine.) I ask parents to practice this little by little at home as well, but some children around that age start at ABC and can’t do anything by themselves. Those children cry without trying because when they cry at home their moms help them immediately. But ABC is a school. Children have to learn how to do it by themselves. Some children can’t eat, drink from a cup, or change their clothes by themselves. Why? Because their parents do almost everything. Why do I force them to do these tasks even when they cry? Should I change their clothes or feed them when they cry? Should I help them whenever they cry? Do you think doing everything for them makes them happy? I don’t think so. Children want to try and do everything by themselves. “I can do it. I’ll do it. I’ll do it by myself.” But I know parents are busy and if they help their children, it’s easier and much faster. That’s why parents help them. But then kids learn, “Oh, I don’t need to do anything. Mom can do it.” Now your child is a little king or queen. It’s very difficult to say, “You have to do it!” when a child is crying in front of me. It takes a lot patience. If I were to help them, it would be much easier and faster. But I don’t because I want them to do it by themselves. I want them to learn independence. I know parents are busy and you can’t wait all the time, especially if you have a job. But once children learn how to do it, they can do it by themselves. If that happens, you and your child will be very happy. Please try the ABC method at home with your child during the weekends. Please take your time and be patient. Once your child can do it by themselves, they will show you their happiest face ever.